Davis-Standard is the industry leader in developing innovative technology for large and wide blown film systems for industrial film and bag applications. There is no better blown film extruder for high output and low melt temperature than the MAC extruder with the DSB®II feedscrew. This extruder, specifically for blown film, leads to the best and most consistent melt quality (temperature uniformity to 2 degrees F and pressure variation <1%), which is necessary to achieve uniformity from large dies. 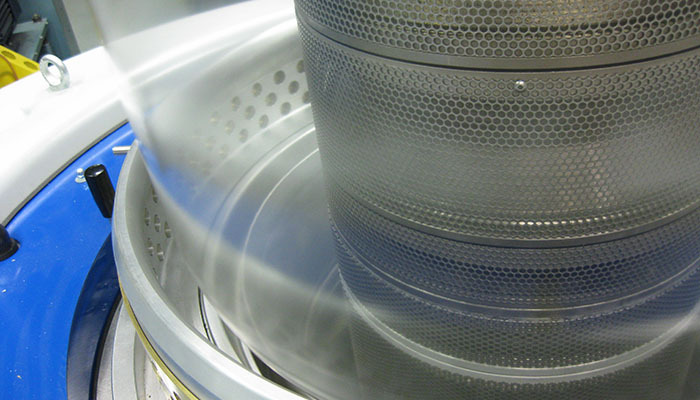 Blown film die systems can oscillate up to 1.2 meters in diameter or remain stationary up to 2.1 meters in diameter. 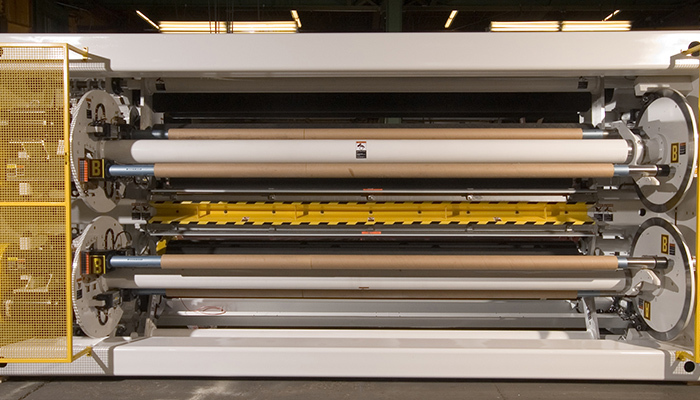 These systems produce controlled property films at wide widths with flat rolls. Davis-Standard's blown film flexible packaging solutions for high-speed converting machinery lines are unsurpassed. This is especially true in the area of barrier films where roll geometry, thickness and layer uniformity lead to faster conversion speeds on pouch lines, FFS machines and laminating lines. 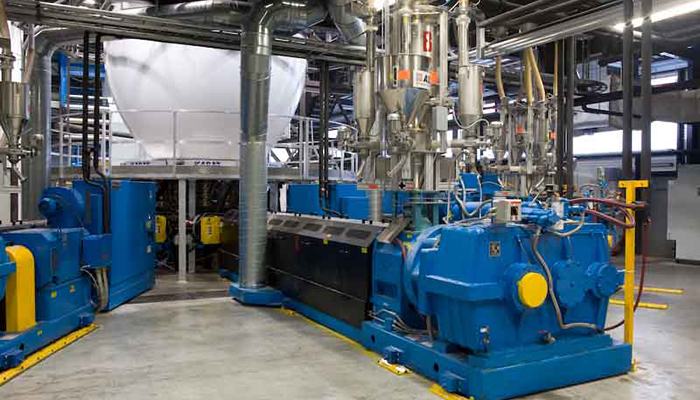 Uniform layers enable cost-efficient use of expensive materials, and our blown film lines have proven effective in producing economical coextruded structures. Advantages such as stationary die systems, oscillating haul-offs, and roller-collapsing frames produce flat, smooth film and rolls. Our blown film systems are also known for consistent symmetric and asymmetric films. Davis-Standard is a global extrusion leader in flexible packaging with lamination lines capable of 2000 feet per minute. We understand the needs for high-speed converting machinery, especially in the area of laminating films where roll geometry and layer uniformity leads to faster speeds on converting and laminating lines. Uniform layers enable cost-efficient use of expensive materials, and our lines have been effective in producing economical coex structures. Advantages such as stationary die systems, oscillating haul-offs, and roller-collapsing frames produce flat, smooth film and rolls. Our systems are also known for consistent symmetric and asymmetric films. Davis-Standard understands stretch wrap systems. Whether cast or blown film, our technology is applied to all components. Roll geometry and unique small roll winders efficiently allow for high production rates by providing reliable, consistent automated roll handling. 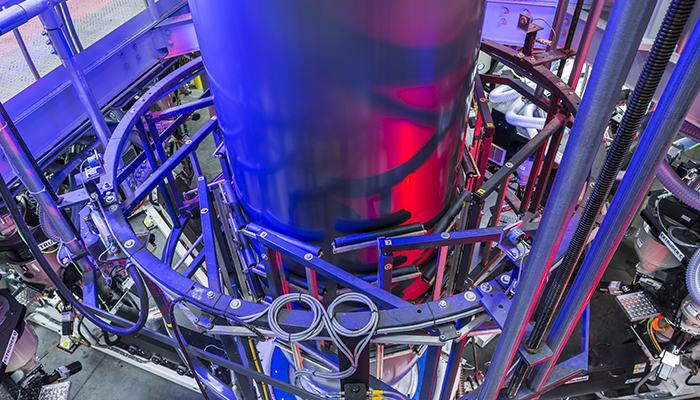 Die systems are stationary up to 1-meter in diameter. 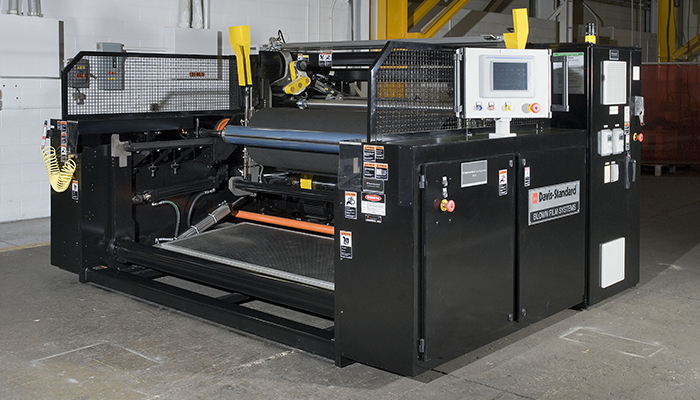 Oscillating haul-offs and roller collapsing frames produce flat, smooth film and rolls. Oscillating die and stationary haul-offs are also available. These systems produce symmetric and asymmetric films. Specific to agricultural stretch films, our technology is focused on uniform quality and thickness. This provides excellent stretch properties with consistent cling levels, strong puncture resistance, high load retention for bale integrity, low oxygen and water permeability. When you think of agricultural (ag) films, think Davis-Standard. We offer extensive knowledge and proven solutions for large and wide blown film for a range of agricultural applications. There is no better extruder available for high output and low melt temperature than the MAC extruder with DSB®II feedscrew. This extruder, designed for blown film applications, leads to the best and most consistent melt quality (temperature uniformity to 2 degrees F and pressure variation <1%), which is necessary to achieve uniformity from large dies. The die systems can oscillate up to 1.2 meters in diameter or remain stationary up to 2.1 meters in diameter. 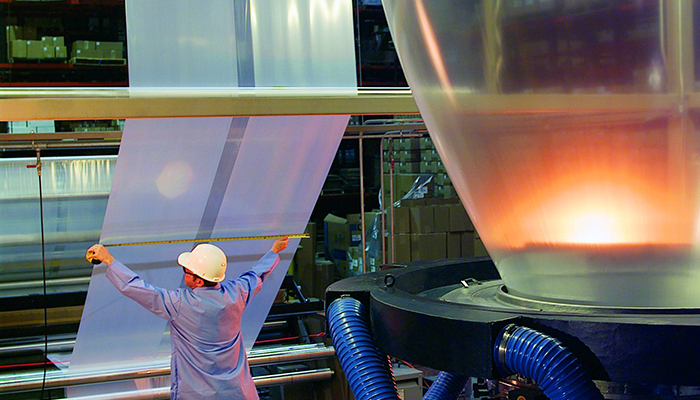 These blown film systems produce controlled property films at wide widths with flat rolls.